One of the use cases of cloud computing Infrastructure as a Service is data recovery. IaaS service models have unlimited compute and storage capacity without upfront investments. More and more vendors are adding support for backup to the cloud. Some examples are Microsoft who acquired StorSimple. Storsimple is a hardware appliance which offers local storage and a gateway to various cloud storage providers. Veeam Backup & Replication Cloud Edition offers the same kind of functionality delivered in software. 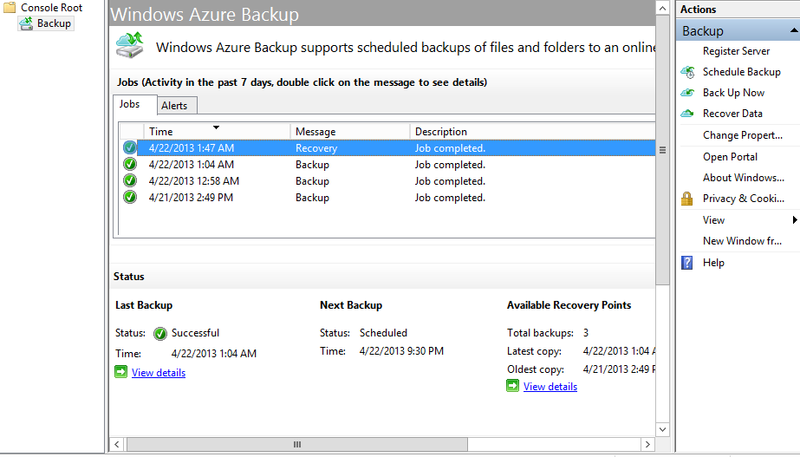 Windows Azure has a preview feature named Azure Backup which offers an unlimited storage capacity for backup purposes. This post will give some insights in this feature and how to connect to it. Citrix released at February 15 a technical preview of a new product named Citrix CloudBridge. The product, available as a hardware or software appliance can be used to connect enterprise datacenters to cloud infrastructures like Microsoft Windows Azure. With the help of this kind of solutions the hybrid cloud becomes reality. At April 16 Microsoft announced that Windows Azure Virtual Machines is general available (GA). This means the service is fully supported by Microsoft and can be used for production purposes. The service was in preview mode since June 2012. Azure Virtual Machines is an Infrastructure as a Service service model. That means the consumer of the service is responsible for managing the operating system and all software running on that operating system. So far Windows Azure was a Platform as a Service only service model. Developers could use the platform to create and execute applications using a fixed set of tooling like SharePoint, SQL server or .NET. If the preferred tool was not made available by Microsoft it could not be used. The consumer was not responsible for managing the operating system. That changes with Windows Azure Virtual Machines. Customers can now create a guest VM running a selected number of supported operating systems. 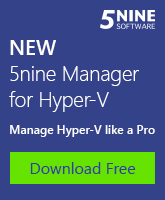 Now they can run any application they want on that virtual machine. Besides provisioning using an Azure management portal, virtual machines can also be provisioned using System Center Orchestrator, using PowerShell and using System Center App Controller. Also VHD (VHDX not supported on Azure) virtual disks can be created on-premises on Hyper-V and then uploaded to Azure. Also via the VM Depot many images are available of Linux distributions preloaded with a lot of different applications. Just a few examples are Drupal, Joomla!, Ruby Stack and WordPress. To learn more about Azure Infrastructure Services see this short video. 1. Two additional sizes for virtual machines are added. Available now are 7 sizes including two Monster VM’s. Those 2 monster VM’s have 4 or 8 cores and 28 GB or 56 GB of internal memory. 3. Costs for some of the Azure services are reduced with 21 to 30 percent. Microsoft today also announced they will follow price reductions of Amazon. So when Amazon lowers prices, Microsoft immediately will do so too. What not has changed is the availability in the SLA. The SLA states that Microsoft agrees to deliver connectivity to the virtual machine during 99,95% of the billing month. To meet the SLA the customer needs to have at least 2 instances of a virtual machine running which are part of the same availability set. Suppose a customer want to runs a legacy application which does not have availability features in the application and does not support clustering. The VM the application is running on is a single point of failure. When the virtual machine goes down (Microsoft performing scheduled maintenance on Azure involving downtime for the host, host hardware issues, networking issues) Microsoft does not violate the SLA even when 99,95% is not reached. Simply because there is no SLA for a single instance virtual machine. 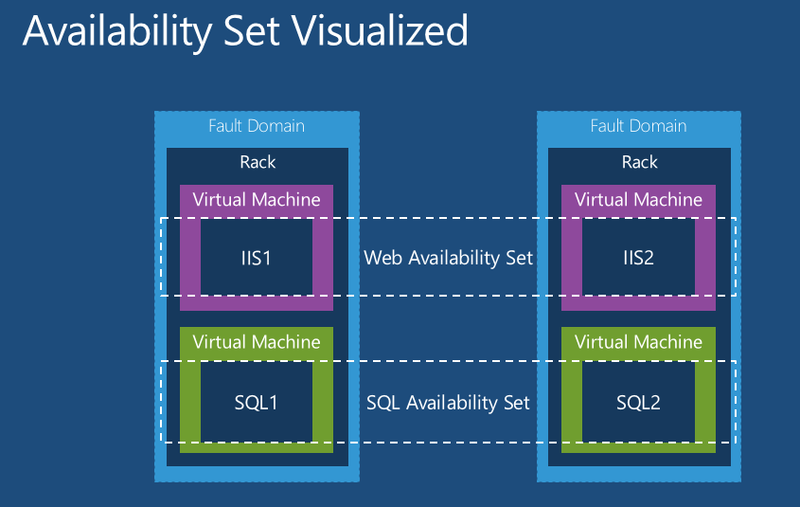 An Azure Availability set ensures that virtual machines instances are not running in the same fault domain. A fault domain is the same host or the same rack. An availability set makes sure members (virtual machines) of that group never run on the same single point of failure. It is the same as anti-affinity rules in Hyper-V/SCVMM or vCenter Server. 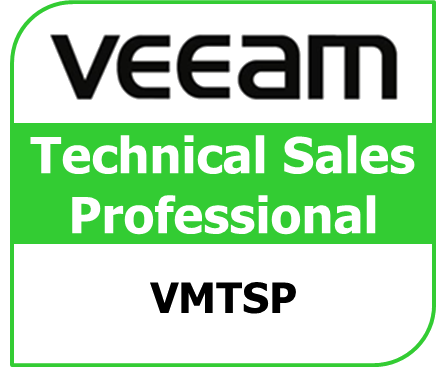 The Service Level Agreement for virtual machines can be downloaded here. “Maximum Connectivity Minutes” is the total accumulated minutes during a billing month for all Internet facing Virtual Machines that have two or more instances deployed in the same Availability Set. Maximum Connectivity Minutes is measured from when at least two Virtual Machines in the same Availability Set have both been started resultant from action initiated by Customer to the time Customer has initiated an action that would result in stopping or deleting the Virtual Machines. Microsoft has as strong focus on the hybrid cloud: a mixture of public and private cloud infrastructures. The vision is delivered by solutions like Windows Azure, Windows Server 2012 and System Center 2012 SP1. Azure and Windows Server 2012 bring in the hypervisor part, System Center 2012 sP1 the management of virtual machines running on one or both hypervisors. These solutions provide customers with one consistent platform for infrastructure, apps, and data – spanning customer datacenters, hosting service provider datacenters, and the Microsoft public cloud. To enable a consistent user interface for the self service portal when Windows Server 2012 is used, the Azure Services for Windows Server are used. This has a Service Management Portal and Service Management API which turns a cloud based on Windows Server 2012 Hyper-V into the Azure look and feel and API-connectivity. Microsoft has a blog published in January 2013 explaining what Cloud OS exactly is. Amsio, managed hosting provider, lauched the first private cloud in Europe based on Microsoft Windows Cloud OS at February 6 2013. Amsio offers a free three month trial of this private cloud. Included is the use of two full virtual private servers running Linux or Windows and 100 GB of high performance storage. Microsoft introduced a new service on Windows Azure named Virtual Machines. Using this service also advertised as feature, Windows Azure customers are able to manage and are resposible for the operating system. Virtual Machines allows a deployment of a virtual machine using a cataloge or upload a self made VHD file. 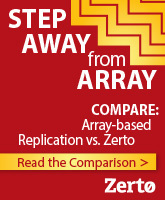 This enables developers to run applications on their platform of choice. The PaaS platform which Microsoft offers on Azure does not have a choice of the operating system running underneath the development tools. 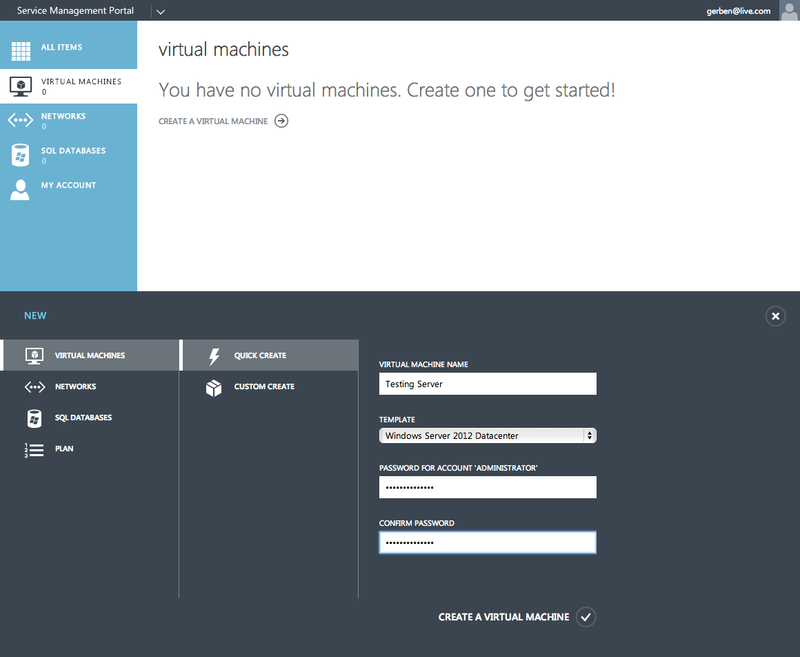 Microsoft Azure Virtual Machines is currently running in a Preview version. This can be compared to a Beta status. At the annoucement of the Virtual Machines feature back in June 2012 Microsoft offered two SLA’s for availability of the virtual machines. 99.9 % for single role virtual machines and 99.95 % for multiple role instances. A single role instance is a *single* VM presenting an application. If the VM becomes unavailable (crash of guest, crash of host etc), the application becomes unavailable as well. A multiple role instance has at least two VMs offering the same application. A load balancer distributes application requests over the available VMs. Microsoft has put the development of new services running on Windows Azure in a fast pace. Time to give some high level information on the latest Windows Azure feature named Virtual Machines. Windows Azure is run in Microsoft owned and operated datacenters located in several regions worldwide. At the time of writing there are no other Cloud Service Providers running this Azure service unlike the VMware vCloud Datacenter Provider program. When using Azure features the cloud consumer will have a contract with Microsoft. Being an USA company this means data stored in Azure is subject to the Patriot Act. China might be the first country in which Windows Azure is licensed to another provider. In this post at CRN.com is written that China provider 21Vianet will be offering Azure in China located datacenters. 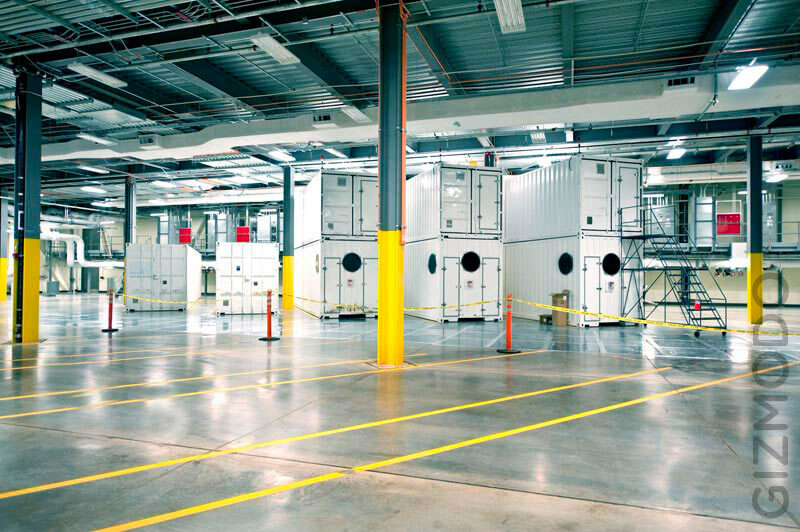 21Vianet bills itself as the largest carrier-neutral Internet data center services provider in China. Microsoft Office365 will also be offered by 21Vianet. Microsoft recently launched a preview version of a new Azure cloud service named Windows Azure Virtual Machine (WAVM). This is an Infrastructure as a Service delivery model in which consumers can either provision a virtual machine from a catalogus or upload their own image in VHD format. As Microsoft has a free trial for Azure I decided to start using Windows Azure Virtual Machines. This posting will report on my findings.